Your team captain is Julie Musto. We hope you will join us at this fun competitive event as we sweat together for a cause. Go to the event registration page, select “join a team,” and enter “Team LRJ” Choose the MORNING event for Saturday June 2nd time slot. 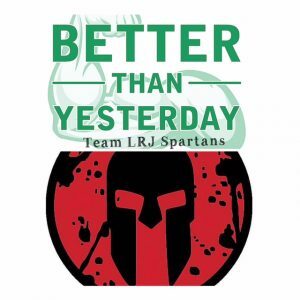 You can also sponsor a Spartan here: sponsoring a team member.